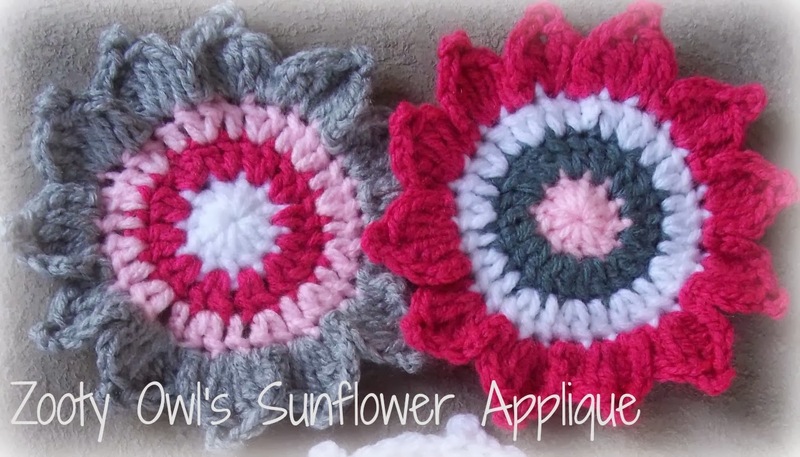 The sunflowers can be used to decorate fabric or crochet items and can be made up in a variety of colourways. 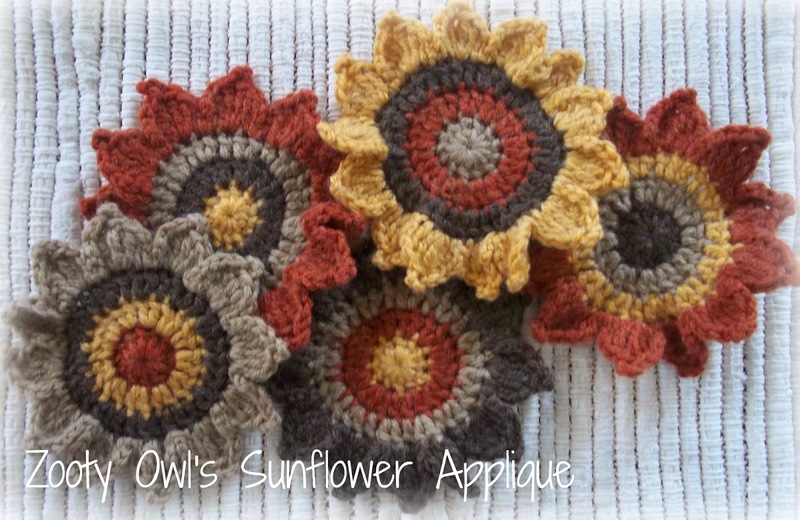 Each sunflower is made up of four colours - so let your imagination run riot! Thank you so very much for your gift of the Sunflower Applique; God Bless you for your kindness. What a wonderful pattern just going to print off a copy of the pattern. It would look good on a bag or plain throw. Many thanks. I have used the pink applique on plain denim cushions and it really turned them into something special! 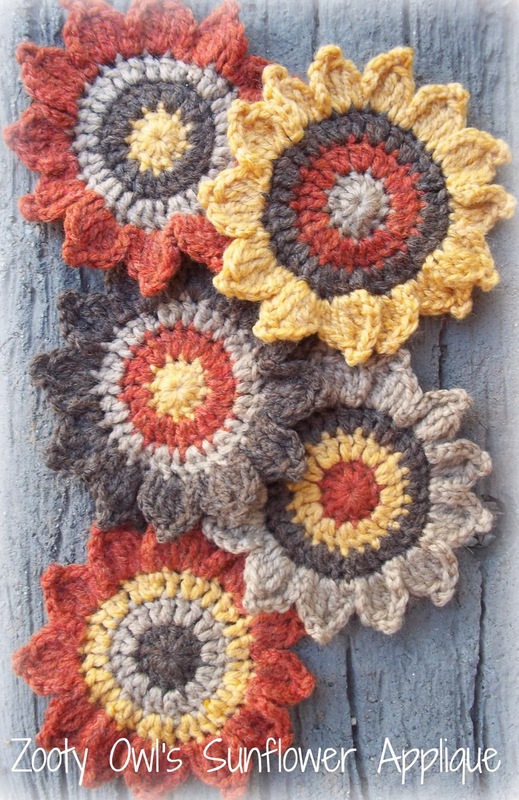 I love this sunflowers! Great color combination!